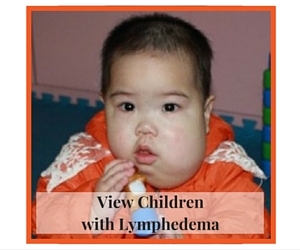 Lymphedema is a disorder of the lymph system. It may arise from a lack of lymph nodes or from damaged lymph nodes, but its exact cause is unknown. The condition causes swelling as tissue traps the fluid, and although it frequently affects the legs, it can occur anywhere on the body. It can range in severity from hardly noticeable bulges to quite large swellings. As this condition often causes the collected fluid to seep from the affected site, the risk of infection is great. It is essential to observe proper skin care and to keep the affected area clean and dry. Elevation of a swollen limb can help the lymph drain, and compression dressings can also help alleviate chronic swelling. In severe cases, surgery may be needed. Swelling usually decreases as the child grows older. Regular exercise such as swimming and running can help reduce swelling. It is necessary to maintain proper foot care and perform daily inspections of the skin to check for open areas or symptoms of infection. Some specialists now receive training in a specialized form of massage that loosens the edema and promotes lymph drainage. We are still making progress through developments in the treatment of lymphedema. This disease does not affect a child?s intellect or growth.